On the coast between Poland and Lithuania there's a piece of Russia that we had to go around. I think, had it been important to us to visit the Kalingrad region, that the Belgian could have requested a transit visa but the Aussie, I think, would have had to get a full tourist visa anyway. We decided not to worry about it. The next night we were at Nida in the 'Curonian Spit'. We were very disappointed with the Curonian Spit: between the ferry (€30), the National Park entry (€20) and the campsite fee (€31) it was rather expensive for us and we didn't see anything that we thought was worth it. Further up the coast we wild camped again, this time beside the beach. The coast was as good as the spit, but without the expense. I was delighted when, while eating dinner, I realised there were wild raspberries growing beside us in the forest. I had desert and breakfast with fresh raspberries that were the tastiest I'd ever had! From there we crossed into Latvia. We camped our first 2 nights at Kolka, the campsite was called 'Usi' and we also participated in their cooking class of Carrot Pies. I had elected to do the class without finding out what we were cooking first and I was disappointed when she said 'carrot pies'. But, it was a good class: the pies were tastier than I'd expected and I learnt a new skill (constructing a 'fenced' pie casing, with no pie dish (she called it 'fenced')). I actually recommend the class.... You also get enough pies at the end, and the ingredients are pretty much available worldwide, so it's a good method to take home. 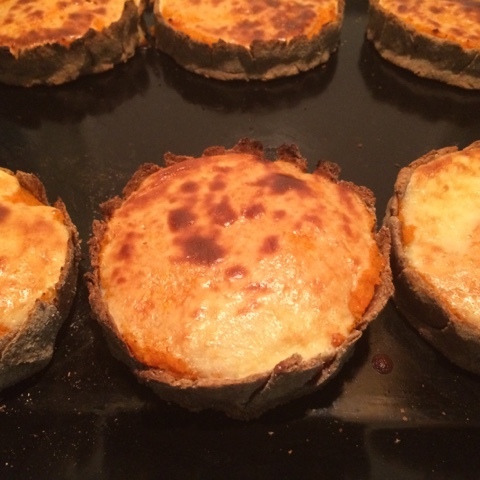 The carrot pies I made at Usi camping, Kolka, Latvia. Then it was on to Riga, capital of Latvia. This will be the only Baltic city we'll visit on this trip: as I've said before we don't much like visiting cities. Riga, however, is quite lovely. We camped on a campsite (we always do in cities, for the security) and cycled into the city centre. Riga has so many brown and grey buildings that it's like an old fashioned sepia photo, and in this way it's lovely. For colour, Riga has a market with fantastic fish and pickles, cheeses, yogurts, and salamis, and fruits and vegetables. 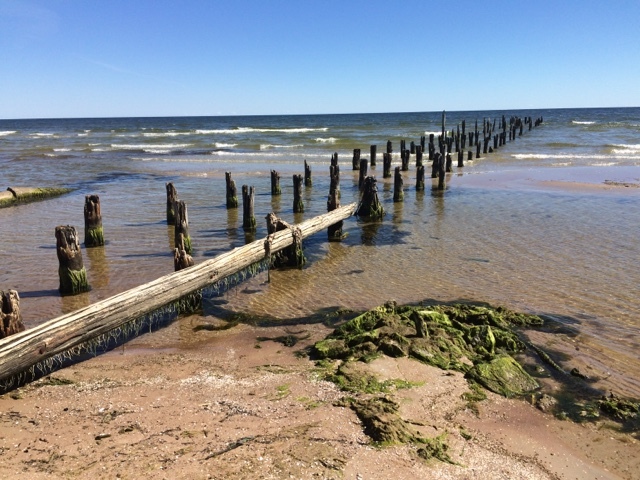 From Riga we headed straight to Muhu and Saaremaa Islands of Estonia. These islands are just lovely. They have a few tourist attractions: post mills (like Dutch windmills but different), cliffs, meteorite craters, but the country and seaside drives are also lovely in their own right. This was the only part of Estonia that we visited, but it was a wonderful choice. 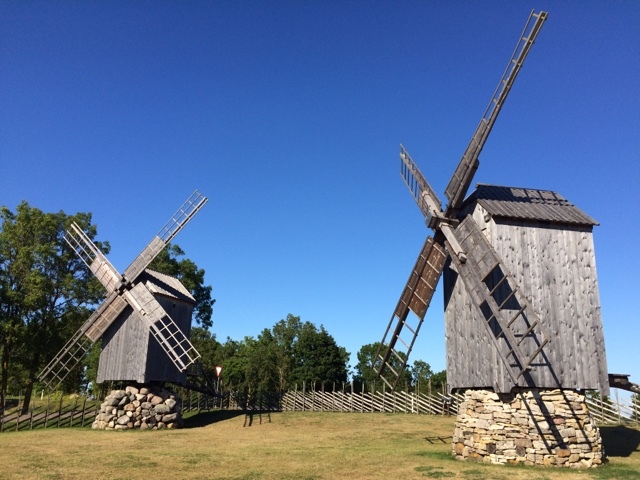 Post mills on Saaremaa Island, Estonia. 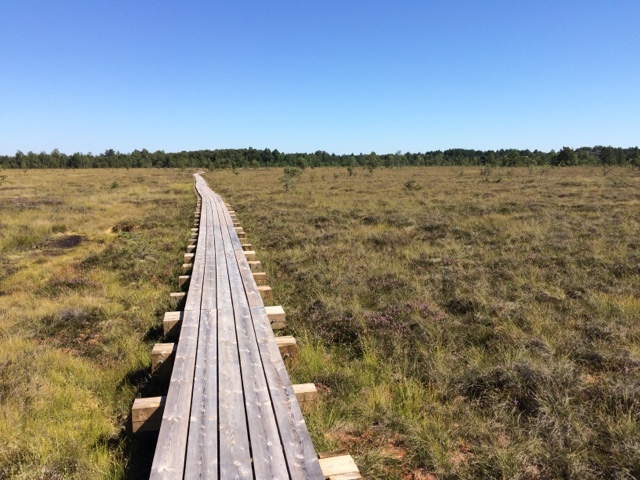 A hike around a bog on Saaremaa Island. On Muhu Island, I also want to mention, there's is an Ostrich and Kangaroo farm... What a strange curiosity! At that point, we realised that we should start heading back. We didn't wish to visit Tallinn (apparently it's a good place to get a motorhome broken into), so we turned around and headed South again, but going inland. In Riga we filled up our water tank at the campsite, only to later (late in that day) discover that the water was salty. Our filters (for drinking water) won't remove salt... Oops! So, we had to dump that water and find more. Only, in the Baltics there aren't so many water taps.... They'd freeze!, and I suspect that they get enough rainfall to not need a garden hose. 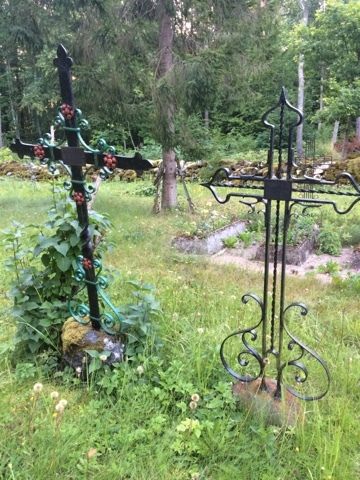 Late in the day we found a cemetery on Muhu Island. Cemeteries are great places to find water, as yes there was a hand pump in a cemetery. So, we camped there the night. Also, I was pleased to be there.... Cemeteries in that part of the world are very special.